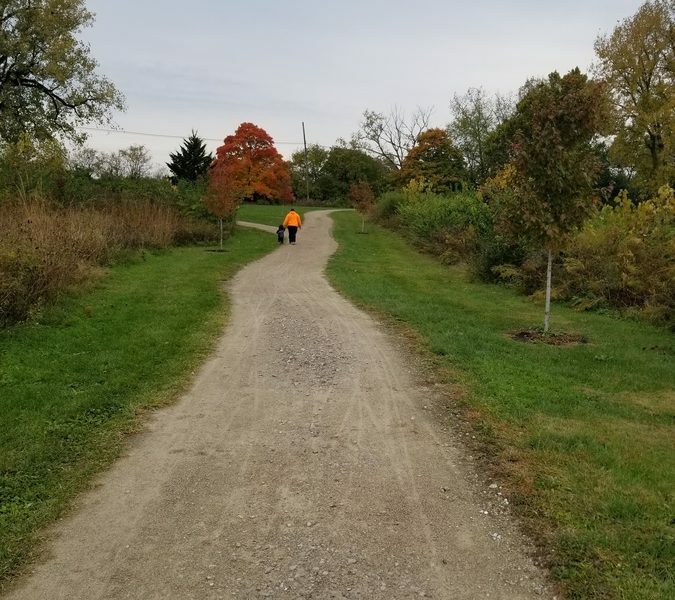 There are multiple paved trails, and a few packed dirt/gravel trails through open grassland with views of the downtown skyline, wildflowers, and more! 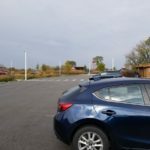 The audubon center is nearby, as well as an obstacle course, dog park, bocce ball courts, kids play area, and outdoor climbing wall. 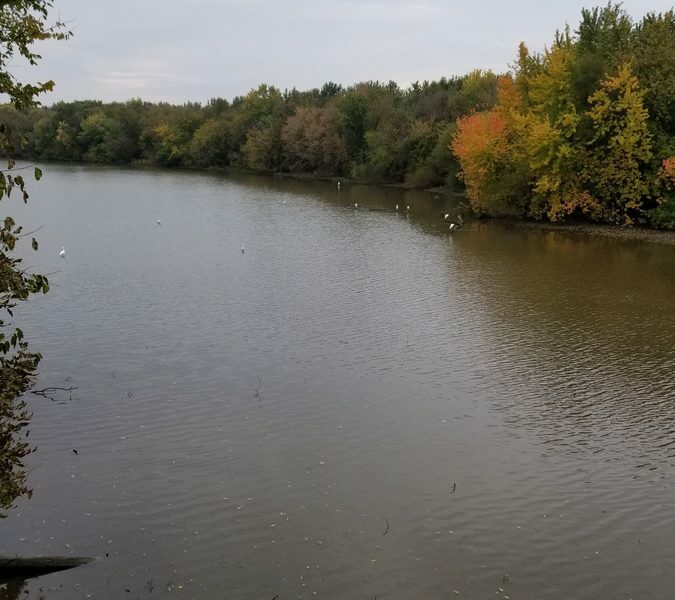 The park’s trails link up to the Olentangy River Trail, which runs north/south along the river from downtown up past Antrim Park, totaling approximately 13 miles. 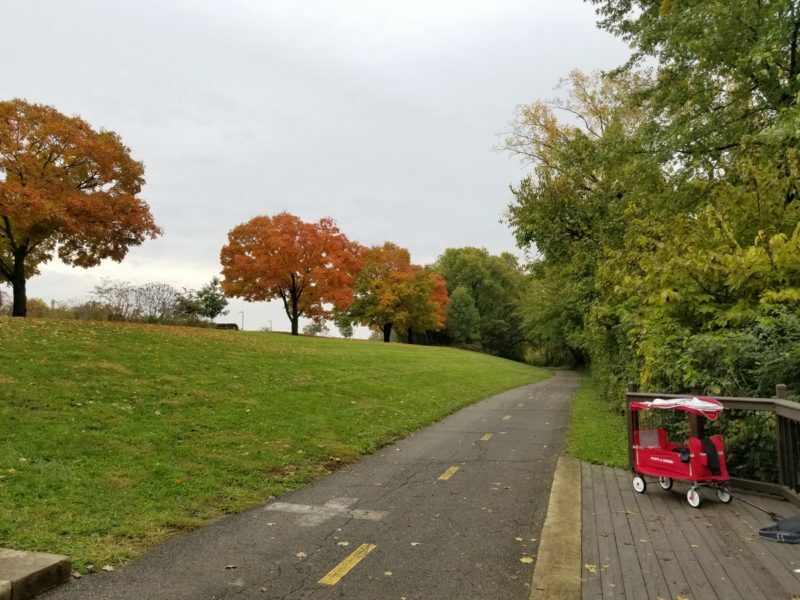 This is the perfect trail for cycling, jogging, or roller-blading. 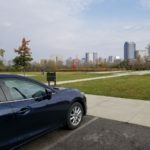 Part of the metro park system, this park contains an audubon center, dog park, obstacle course, and a large outdoor climbing wall. There are even man-made boulders kids can scramble on! 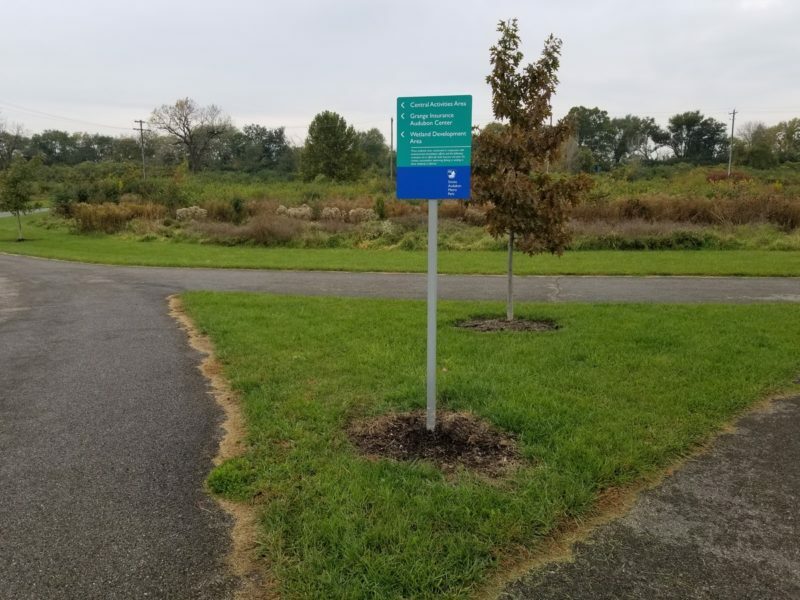 The Olentangy River Trail runs from here north several miles. 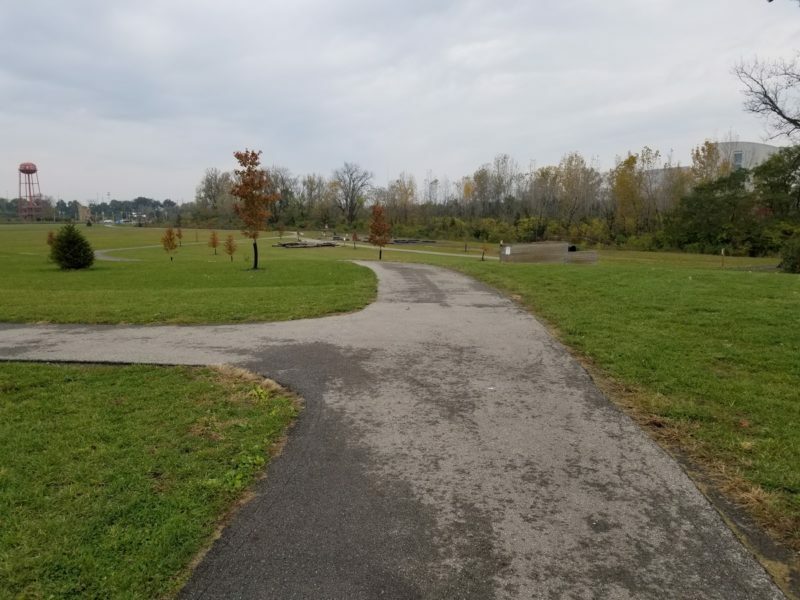 In the park itself, there are multiple trails that connect.